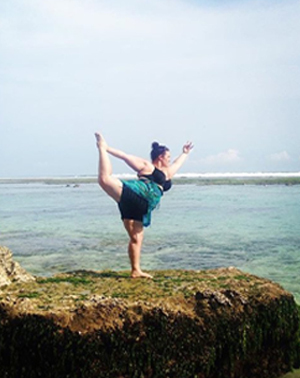 Catherin was introduced to Yoga in her early teens, mainly for the physical aspect – it wasn’t until years later that she realised it was a journey of self-discovery. The benefits surpassed the physical, by helping her mentally, emotionally and allowing her to be comfortable in her own skin. Yoga has always been a part of her life – however big or small at the time. What always drew her back in, was how it helped her grow as person, get stronger, more flexible, more able to deal with injuries, gain greater body awareness and how it complemented her other activities. “Life is too short to be taken seriously” – So enjoy it and I shall see you on the mat! !